CRAFTSY!!!!! Classes, supplies and patterns OH MY! Have you ever visited Craftsy? Do you know what Craftsy is? Well let me tell you about a few parts of Craftsy and then give you some affiliate links to get to classes, patterns and supplies!! Craftsy is an amazing website that allows you to purchase kits, classes and other supplies. Pattern designers around the world have patterns available to us both free and for purchase! 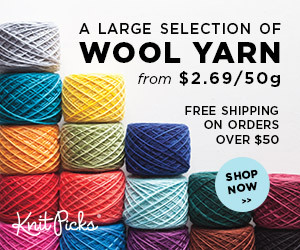 There is amazing yarn that you can purchase through Craftsy. I have recently bought yarn through the shop and it came fast with a super deal! I love buying through Craftsy! The pattern database is so thorough and diverse! There are patterns for hats, socks, scarves and even animal vests! You name it, it's there! Supplies such as knitting needles, crochet hooks and blocking supplies are great and have great prices. Did you know that Craftsy offers classes? Classes from crochet techniques, knitting classes, photography classes and other amazing topics! So now, I'd like to provide you with an affiliate link to a crochet class and tell you how they work! I have become an affiliate with Craftsy and if you purchase the class when clicking on my affiliate link I will receive compensation for your purchase! The wonderful part of the classes is that once you purchase them you can keep them in your library and review them whenever you want! Here's the first class I'd like to tell you about! The class is the Crochet Colorwork Techniques class!! This class is taught by no other than the amazing Marly Bird! (A crochet guru and official Red Heart spokesperson!!) This class will teach you all about working chevrons, Catherine's Wheel, spirals, flowers, 3D embellishments and so much more! You'll learn many techniques and ways in how to make your crochet stand out and above all the others! Again, this link is an affiliate link and I will receive compensation if you purchase this class through my link!